The Mjølner is an exceptional casual dining experience like no other. The experience begins as you’re trying to find where it is located. With no signs or indication that there is a magnificent restaurant and bar below a bare and solid timber door in a building on Cleveland Street in Redfern adds to its mystique and charm. As you walk down the stairs, you start to feel excited and then delighted as to what you see. From beautiful rare Viking artefacts to a wide-ranging whisky bar, there’s a lot to absorb. Mjølner is a Viking-inspired restaurant that uses theatrics to enhance the consumer’s experience. Don’t mistaken this place for a themed restaurant, because clearly, it’s not. A lot of thought has gone into every aspect of the dining & drinking experience, but you’ll have to find out for yourself. Mjølner features renown chef’s and bar staff and the team is led by Alexandra Dahlenburg. A country girl with a long hospitality career, she started out washing dishes at 14 to fund her horse-riding addiction. Alex amassed a wealth of experience in the hospitality industry, obtaining her first liquor license at age 22 and first hotel license at age 24 respectively. Since then she has worked at some of Sydney’s largest and most renowned hospitality establishments. 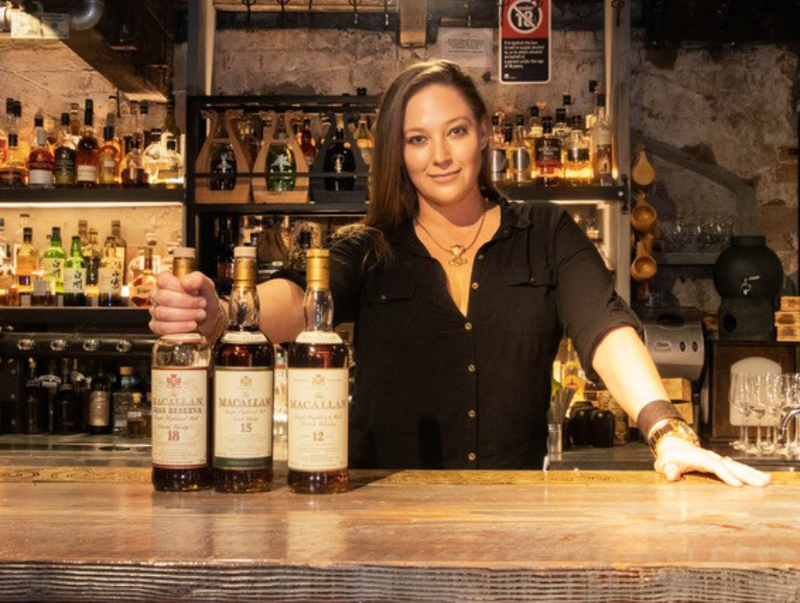 With a background in pubs, nightclubs, restaurants and bars and a love and passion for whisky she followed her nose working within her niche at Grain Bar, in the Four Seasons Hotel Sydney. There, Alex’s knowledge and enthusiasm for the liquid gold literally filled the back bar and won them the title of Australia’s Hotel Bar of the Year in 2016. In early 2017, she joined Mjølner and has established its bar with over 500 whiskies and has a clientele of some Sydney’s most dedicated and passionate whisky drinkers and diners. Having been nominated for awards amongst the top venues and professionals in the industry, Alex believes it is an honour to be included with her hospitality idols. Head Chef, Joachim Borenius, was born and raised in the very south-west tip of Sweden in a family of six. Most of Joachim’s cooking career has been in fine dining kitchens and he has worked for both Heston Blumenthal and Thomas Keller. Through cooking, he’s travelled the world and experienced different cultures and cuisines. He’s worked at various known restaurants such as The Fat Duck, Per Se, Marque (Head Chef), Pei Modern (Head Chef) Bouche on Bridge (Head Chef) and now Head Chef at Mjølner Sydney. In the restaurant, you can expect a great selection of meats, such as Venison Shank, grass-fed short rib and roast pork belly which can all be beautifully paired with a selection of vegetables. For the non-meat eaters, there’s whole fish and vegetarian dishes. The portions are generous and the concept behind the menu was to recreate the feeling of Feast of Valhalla or a family gathering. The food at the bar is very good with cured meat & cheese boards, fresh oysters, roast bone marrow and more! Pair it up with some good whisky and you’ll be in Viking heaven! Alissa Gabriel, Mjølner Bar Manager, hails from Rockhampton in Queensland, Alissa worked at the award-winning Eau-De-Vie and before she joined the team at Mjølner. The Whisky Bar is stocked with rare and wonderful whiskies from Bruichladdich, Port Charlotte, Octomore, Writers Tears, Glenrothes, The Macallan, with the standout – Highland Park Single Malt Scotch whisky – a whisky made with pride on Orkney. Highland Park Whisky is shaped by a wild climate and stormy seas, and by the Vikings who settled here over 1,000 years ago, leaving their mark on their people and culture. Mjølner’s appreciation and passion for Highland Park is clear – with one of the best collections of expressions in Australia. Some of the rare Highland Park Whiskies include Highland Park ODIN, Highland Park THOR, Highland Park LOKI and Highland Park FREYA. Mjølner even serves a Highland Park signature cocktail called the Kvasir (Vas-eer)… Your pick of Highland Park….10, 12, or 18-year-old. Beetroot infused sweet vermouth, liquorice root, Maraschino liqueur, Fernet Branca & bitters. Enlightened with the mead of knowledge, it is earthy with a subtle peat & complex confectionary moorishness. Served over block ice. The Macallan is also well represented in the Mjølner bar. 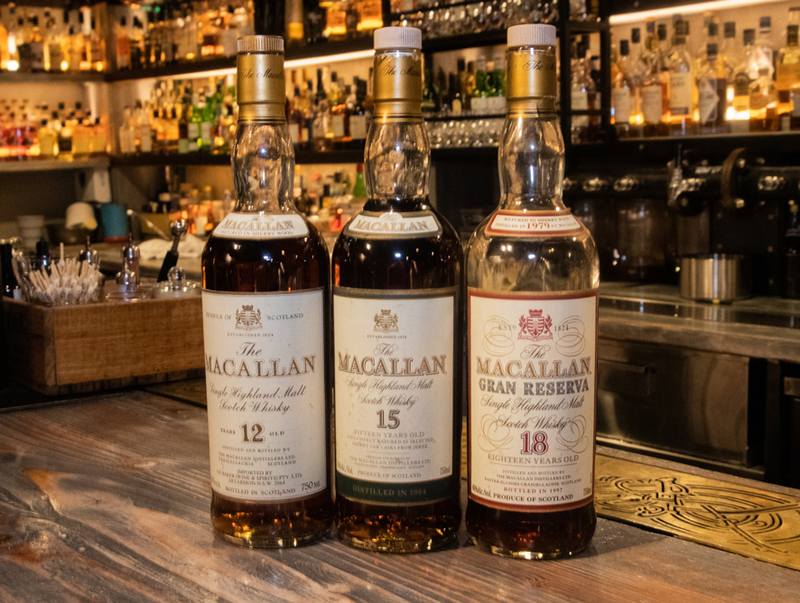 They offer a wide range of The Macallan so you’re able to taste limited Edition Macallan whiskies, the Rare Cask and even old & rare whiskies. When asked Alexandra what her favourite dram was, she remarked: “The Macallan 12YO Double Cask is my home dram”. To visit Mjølner’s website click here. 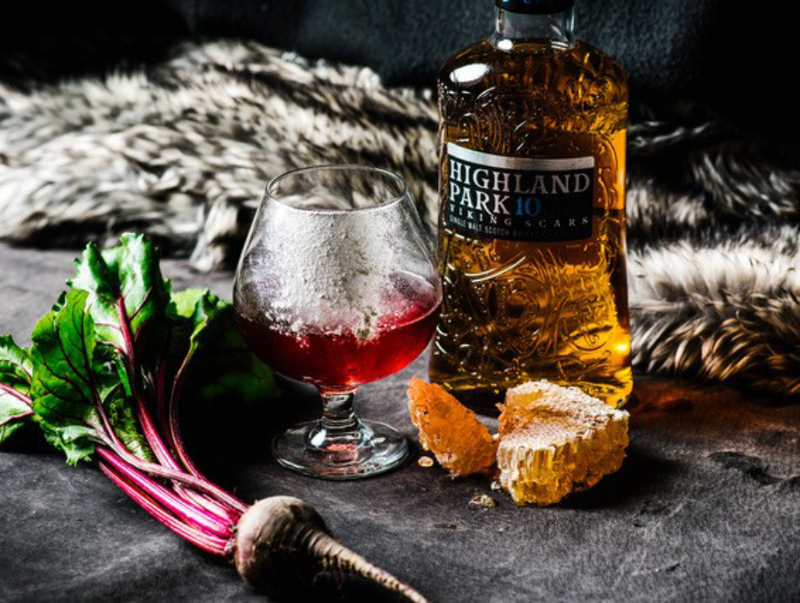 For more info on Highland Park Whisky click here. For more info on The Macallan Whisky click here.